As this is being written, there is (as many of you know) an upward trend in buying new music recordings on vinyl. Record labels are having more vinyl recordings pressed now than they likely have since 1990 because of the demand, which has been on the increase since circa 2007. This is happening because there are audiophiles today who have decided that vinyl LPs “sound superior to” CDs. This is ironic because CDs were developed, mainly, for one reason: to have higher fidelity recordings than even the best vinyl spinning on the best turntable played through the best stereo system could deliver. “High fidelity” means a relatively low noise-to-signal (usually written “signal-to-noise”) ratio. This translates into a cleaner sound with less background noise and less distortion of the original input signal. In other words, it means the recorded guitar sounds more like the real guitar played by the real musician in the real original setting, and there’s less non-musical noise such as some “hiss” lingering in the background and interfering with being able to clearly hear the guitar. Ever since the earliest days of the emergence of CDs, it was obvious by every audio measurement, from signal-to-noise to dynamic range to stereo channel separation that CDs sounded superior to their counterpart vinyl records. Even nearly all non-technical music lovers agreed to this, and there were scores of audiophiles who had invested thousands of dollars into turntables and vinyl LPs barely being able to stand listening to them any longer once they had bought a CD player and a few CDs. vinyl. Record labels are having more vinyl recordings pressed now than they likely have since 1990 because of the demand, which has been on the increase since circa 2007. Sometime after 2005 an idea started circulating: digital MP3s are “cheap” and therefore “inferior quality” recordings, while analog recordings on vinyl are “authentic” and therefore of “superior” sound quality. One of the roots of this idea is found in the fact that it became known that digital recordings compress audio signals (allowing them to store more music in less space). This can mean that the final sound heard by the listener has had some of the signal from a recording’s highest highs or lowest lows “clipped” a little. An analog signal hasn’t been “clipped”, and the soundwaves that hit the master tapes in the recording studio or in the concert hall are fully recorded as unique patterns of grooves which give the listener a “warmer” and fully “authentic” sound. It’s also true that digital recordings are made by sampling an analog (that is, all-natural) audio signal. This is extremely high speed sampling, but it is sampling nonetheless. An analog recording doesn’t sample anything -- it etches an analogous groove to represent 100% of the received audio signal. The reality is that only by hearing a recording being made as musicians record in real time can you hear a perfect “analog”. Vinyl records do not have higher fidelity than CDs or MP3s do. The physical friction which cannot be avoided as the needle tracks through an analog record’s groove inevitably interferes to some extent with the sound -- and, with every play a record becomes less and less faithful in quality to the original audio signals encoded as the grooves get distorted by mechanical friction. CDs and MP3s don’t wear out or fade in quality no matter how many times they get played, because there is no such friction. 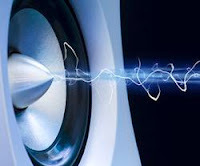 The lack of friction also means that there’s no “hiss” or “pop” or any of the other background noise that Dolby noise reduction systems were created to try to diminish when one listened to vinyl (or cassette) recordings. As to the “warmth” heard on vinyl but not on digital recordings, this is almost always attributable to the quality of the stereo system. Audiophiles typically invest more money into a higher quality system for playing back analog records than they do for a CD player. In today’s world with inexpensive but advanced headphones and more compact high quality sound systems, your sound system’s quality almost always means more than whether or not you’re listening to an analog or a digital recording. An apples-to-apples comparison of the same recording on vinyl and on CD would just about always render the digital recording “superior”. But, there is still one excellent reason to collect vinyl records: they are works of art, with legible lyrics and notes. CD recordings, from the visual point of view, look and feel like something an office manager buys at Staples. Chris Neloms is a professional blogger that provides the latest information on the best home audio and home entertainment systems. He writes for CasaTunes.com, a premier home audio systems company. I used to have a blog http://thumbrella.blogspot.com, but Google closed it down. I had it aet up to send a tweet every time I made a post. Now that you have this blkg, the same thing is happening - and I don't know how to stop it. Please investigate and turn off the automatic tweet feature. Out of interest how did you pick the blog name? I think you are confusing the issue a bit. Mp3's, as far as I am aware, ARE compressed, and, therefore, lose some sound quality. I doubt the average music listener can tell, though, especially when the music is played back on a cheap player. CD's, on the other hand, DO provide high quality music playback, especially when heard over a quality home stereo. Do you know where I could get a copy of The Stranger album ?